You are invited to our 5th annual Municipal Heritage Forum,“Roadmap to Success!” It is scheduled for October 27th and 28th in Edmonton, at the Prince of Wales Armouries. This event is intended for municipal staff, councillors and heritage committee members interested in learning how to identify and protect local historic places. Registration is free, but we only have room for the first 100 registrants at the Forum, and the first 75 for the evening reception – so please register early! Click here for event details and a copy of the registration form. The keynote presentation will be, “The Other Side of the Rockies: BC’s Experience with Community Heritage Context Planning” by Berdine Jonker, Senior Heritage Planner. Berdine Jonker is Senior Heritage Planner with the BC Heritage Branch, Ministry of Forests, Lands and Natural Resource Operations. She has worked in the heritage conservation field since 1998, focusing primarily on building local government capacity for heritage conservation planning. Berdine has also worked with groups such as Smart Growth BC to further develop the connection between heritage conservation and healthy community development. She holds a Bachelor of Arts (Art History) (1998), a Diploma in Cultural Resource Management (2003), and a Master’s Degree in Public Administration (2010) from the University of Victoria. We look forward to seeing you at the Forum in October! Putting Names on the Map? The Historical Resources Act gives authority to make geographical naming decisions jointly to the Alberta Historical Resources Foundation and the Minister of Culture and Community Spirit. However, over the last number of decades, the Government of Alberta has not generally been proactive in naming geographical features. The responsible authorities believe that it is more appropriate for the citizens of Alberta to play the key role in making naming proposals. So, how does a person suggest a name for a geographical feature? The short answer is to submit a proposal. Applications or proposals to name a geographical feature are made to the Alberta Geographical Names Program. The application form is available on the program’s website along with the Geographical Names Manual, which will help guide applicants through the application process and provide some details about the research standards and principles that guide geographical naming in Alberta. It is highly recommended that applicants read the manual before starting the application to ensure that the proposed name is appropriate and meets the “Principles and Guidelines for Geographical Naming” (more on these in a future blog post). New MHPP Projects Funded for Communities! Congratulations to four communities that have recently been awarded grants by the Alberta Historical Resources Foundation for heritage planning projects! The Town of High River will receive a $20, 000 matching grant from the Municipal Heritage Partnership Program (MHPP) to undertake a Heritage Inventory project, evaluating potentially significant historic places in this growing southern Alberta town. This is the first collaboration of the Town of High River with MHPP. 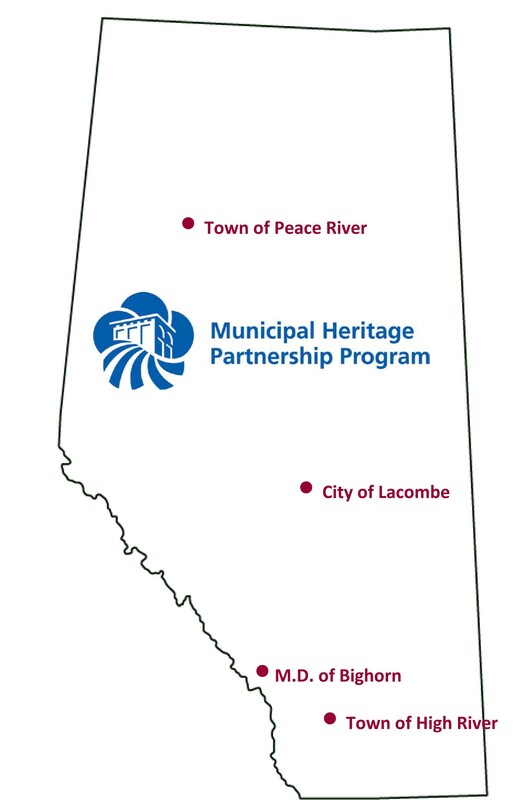 Heading up north to another “River” town, Peace River has been awarded a matching grant of $6, 000 to develop a Heritage Management Plan. This plan will build upon the previous Heritage Inventory work funded by the Foundation through MHPP. 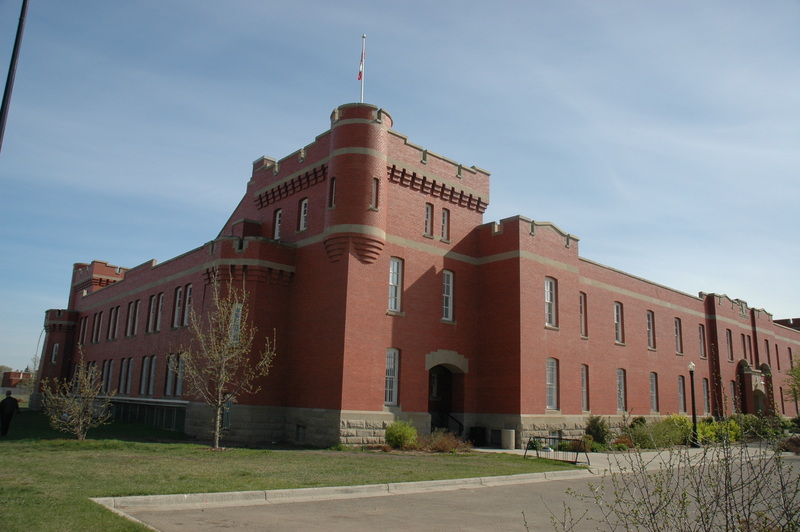 Lacombe, Alberta’s newest City, will receive a matching grant of $24, 500 to continue its program of evalating its significant collection of historic places in a second phase of Heritage Inventory work. And, last, but definitely not least, the Municipal District of Bighorn, located on the cusp of Banff National Park, has been approved for a matching grant of $20, 000 for the creation of its own Heritage Management Plan. This project will build upon years of previous partnership with MHPP, which yielded both a Heritage Survey and Inventory. We are looking forward to working with these municipalities to help protect, conserve and celebrate the places that matter most to Albertans. Do you own a Municipal Historic Resource? Would you like to learn how to obtain funding to conserve your historic resource? The Alberta Historical Resources Foundation operates several grant programs to help underwrite the conservation of Alberta’s heritage. The Historic Resource Conservation category of the Foundation’s Heritage Preservation Partnership Program offers grants to defray the cost of conservation work on Provincial and Municipal Historic Resources. A grant can finance up to half the cost of conservation work that complies with the Standards and Guidelines for the Conservation of Historic Places in Canada. No grant to help conserve a Municipal Historic Resource will exceed $50,000 (although most grants are less than this). The municipality has reviewed the proposed work, certified that it meets the Standards and Guidelines and issued written approval to undertake the project (pursuant to section 26 of the Historical Resources Act). Although a provincial Heritage Conservation Adviser can help your municipality complete the approval-documentation, municipalities are responsible for reviewing the proposed work themselves. Municipalities have the legal authority to prohibit any changes that, in their opinion, detract from the heritage value of the site. Municipalities are best situated to evaluate how proposed work impacts the heritage value of the sites they themselves designate. You can find a Historic Resource Conservation grant application package here. Because of the documentation needed, it is best to begin working on an application as soon as possible. The next application deadline is September 1st, but it is never too early to start thinking about the conservation work you would like to do next summer. Applications submitted for the February 1st deadline should be adjudicated before the snow melts. For more information on the grant programs of the Alberta Historical Resources Foundation, contact Carina Naranjilla at carina.naranjilla@gov.ab.ca or 780-431-2305. Heritage Conservation in the Spotlight! 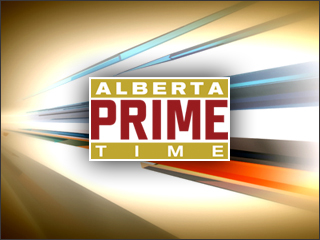 On Thursday, August 11, 2011, Access Television’s current affairs program, Alberta Primetime, aired a segment on the preservation of historic buildings in Alberta. A webcast of this segment can be found here. The segment included a panel discussion consisting of me (Larry Pearson, Director of the Historic Places Stewardship Section), Darryl Cariou, the City of Calgary’s Senior Heritage Planner and Edmonton architect Shafraaz Kaba, Senior Partner with Manasc Issac Architects. Our discussion explored the benefits of adaptively reusing heritage buildings and some of the funding support available to their owners. During the panel discussion, I noted that there are approximately 700 historic places listed on the Alberta Register of Historic Places. Of these, 508 are designated as Municipal Historic Resources or Provincial Historic Resources. These places are legally protected under Alberta’s Historical Resources Act and are eligible for funding from the Alberta Historical Resources Foundation. Beginning with the February 1, 2012 grant deadline, Provincial Historic Resources will have an annual eligibility for up to $100,000 in cost shared funding to support eligible conservation work. For Municipal Historic Resources, the annual eligibility will be $50,000. Darryl Cariou outlined the City of Calgary’s grant funding and illustrated how other strategies, such as defering tax increases that would normally occur when a building is signficantly upgraded, could be used to support the rehabilitation of historic places legally protected by the City. In exploring the benefits of adaptivly reusing historic places, the panel illustrated how heritage conservation is an excellent example of “sustainable developmant”. The reuse of existing buildings is environmentally sustainable. Shafraaz noted that the “greenest building is the one that is already built”. This is because the reuse of an existing building saves a landfill from the waste created by demolition and conserves the energy that was invested by a previous generation during its construction. A study prepared for the Government of Alberta showed that the rehabilitated historic Lougheed Building in Calgary would use about 10% less energy than a typical new building of similar size. The study also revealed that the overall energy saved was equivilant to the annual energy use of 1,591 homes. Recycling historic places also contributes to “economic sustainability”. A higher percentage of the money invested in rehabilitation projects represents labour costs rather than material costs. The labour investment reflects the work of skilled tradesman and, because it is spent locally it is also more likely to stay in the community. Heritage conservation also helps a community maintain its sense of place, therefore, it supports cultural tourism and contributes to viable communities and a high quality of living. For more information on the heritage programs of the Government of Alberta, click here. Information about the City of Calgary’s heritage programs can be found here. Happy Anniversary St. Peter’s Church! 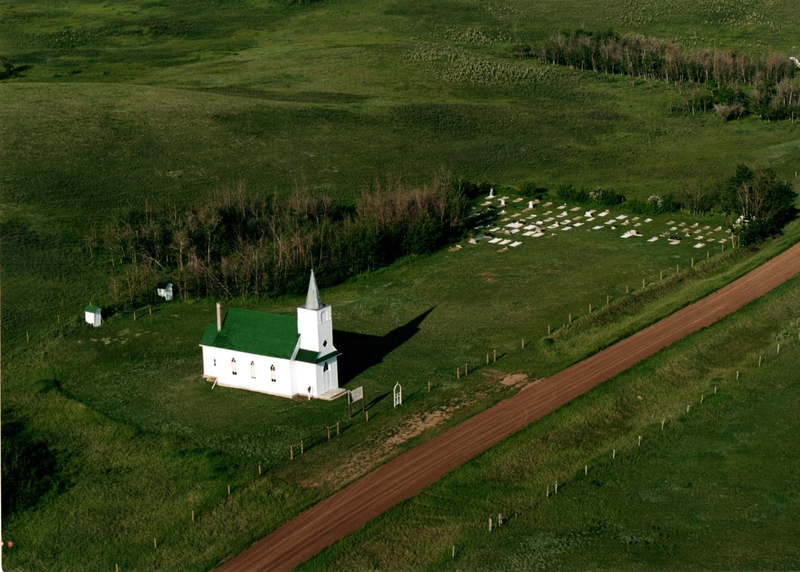 St. Peter’s Lutheran Church and Cemetery is the newest Municipal Historic Resource listed on the Alberta Register of Historic Places. It is located in Special Area 2, in the former Hamlet of Scapa. On Saturday, August 13th, the parishioners are celebrating the 100th anniversary of the church’s construction. If you are in the area, stop by for a visit. The church was constructed in 1911 and moved to its present location in 1921. The residents of Special Area 2 value this place for its historic use as a Lutheran parish church, particularly by the settlers who homesteaded the Hamlet of Scapa. The Church was designated as a Municipal Historic Resource by the Special Areas Board in 2009. Tune in tonight at 7pm or 11pm to see Larry Pearson, Director, Historic Places Stewardship, join other key stakeholders to discuss the state of heritage conservation in Alberta.